Students love to play Footloose! Teachers love the easy prep! Area and Perimeter Footloose includes 30 question cards about area and perimeter of rectangles (the cards are available with and without a background - same questions on both sets - just the option of a background when printing). Students solve each problem and record their answers in the corresponding box on the Footloose grid that they each receive. 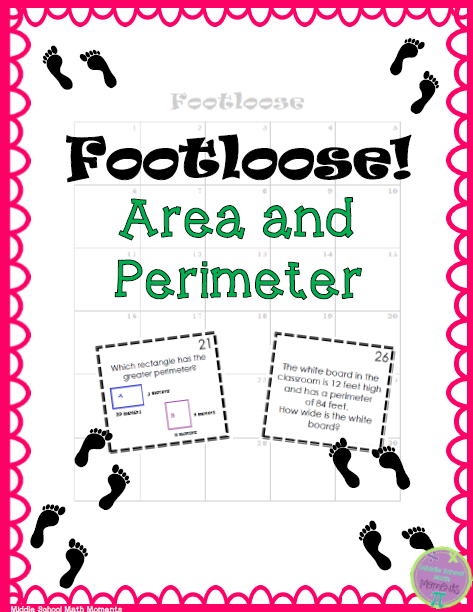 This activity includes the Footloose grid, 30 cards, an answer key and directions. I would recommend copying the 30 cards onto card stock and/or laminating them.